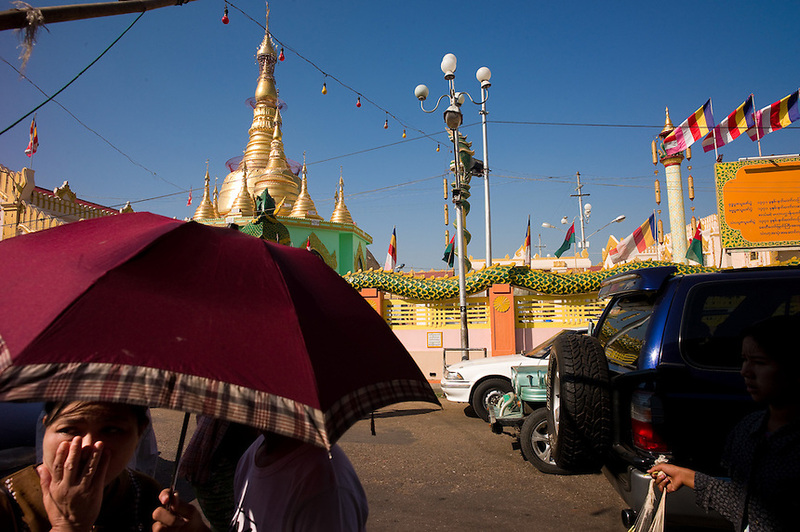 Vendors, worshippers and neighborhood residents circulate on the streets outside the historic Botataung Paya in Yangon, Union of Myanmar (Burma). The pagoda is said to house several strands of the Buddha's hair, brought by pilgrims from India 2,000 years ago...EDS: Not for syndication nor redistribution. Web slide show only. Please do not strip metadata for Web use..